Bergdoll 2X BOMA Associate of the Year! 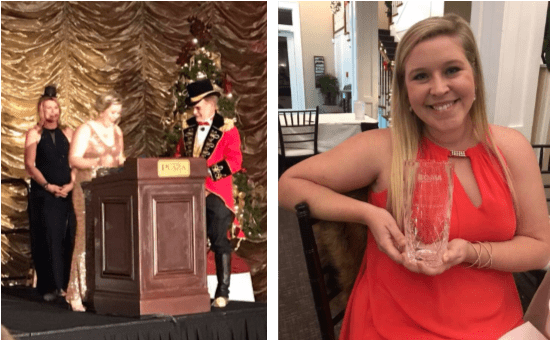 Congratulations to A1 Orange’s Director of Business Development, Lindsey Bergdoll, who was recognized as Associate Member of the Year by both BOMA Orlando and BOMA Jacksonville in December! This award is given to the Associate Member who makes outstanding contributions to BOMA locals. Lindsey has planned events, Co-Chaired Networking and Awards Committees, and served on the Membership and Emerging Professional Committees. She was selected as a new Board member in BOMA Orlando for 2018.